Does Lauren’s towel elephant REALLY trump my towel turkey? 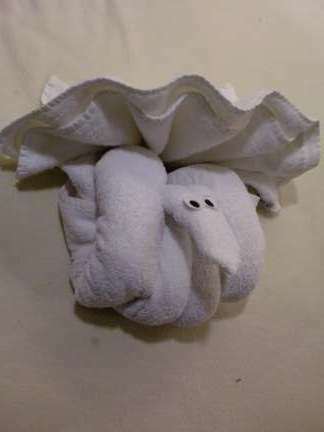 As anyone who has ever cruised knows, every night you return to your room to find a new towel animal created by your cabin boy. At Thanksgiving time, I posted a picture of a towel turkey from my recent Holland America Westerdam cruise on my facebook. Lauren of Australia posted a towel elephant saying she trumped my towel turkey. So I want to know, does the towel elephant really trump the towel turkey? 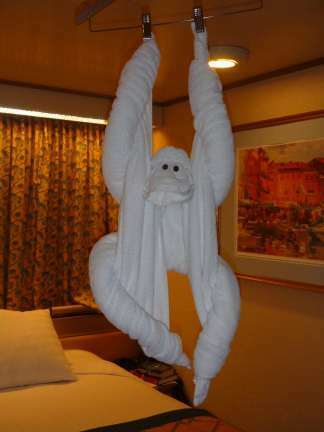 How about the hanging towel monkey from the Westerdam. Does it trump the towel elephant from somewhere in Australia? You can still vote on this poll, it never closes! Voting Instructions: Click yes or no, then click on the vote button. When it registers your vote it will show you the results. If you are looking for towel animal instructions, please visit my towel animal folding blogs for directions on how to fold a towel turkey, a towel elephant, or a towel monkey. For an assortment of other animals see the towel animal page. 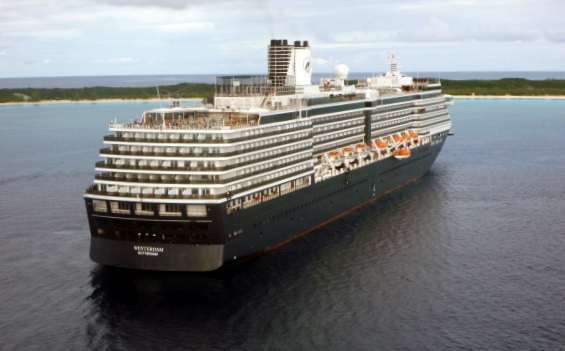 This entry was posted in Holland America, Randoms, Towel Animals, Westerdam and tagged cruise ship animals, towel animal poll, towel elephant, towel monkey, towel turkey, vote. Bookmark the permalink. 5 Responses to Does Lauren’s towel elephant REALLY trump my towel turkey? Sorry Lozza, but the monkey trumps all.